Updated Monday July 3, 2017 by Kanata Baseball Association. Coaches were amazing with the children! Our coaches made the season fun for the boys. We had a great team and coaches and parents! l truly love coach jeff. He is so positive and wonderful with the kids. I can't say enough about Coach Jay and Coach Mitch. They were fantastic communicators, teachers, motivators. I would sign my son up for a team which they coached in a second! Our Coach Hayley was excellent - the kids loved her and she made learning about baseball fun. This was our first year and both my boys had a great time. They learned a lot. The coaches were absolutely awesome! Amazing volunteer coaching team!!! Could not have asked for a more enthusiastic, fun, energetic or respectful guy. Am looking forward to continuing on with him in the summer! Would allow my son to play for him anytime. In fact, I hope he does get to play for him again. The coach even showed up to practices and games when his son wasn't there - he was very committed to the team. Brent and Josh were excellent coaches Awesome with the kids! Coaches were great, motivating, positive, but expecting the boys to do their best. Steve was a wonderful coach. This is my sons first time ever playing baseball(he did do the winter skills). The coach(and his assistents) did a great job of helping him develop. He even got to pitch which was a thrill for him. Great overall experience for him. Big thank you to our coaches! 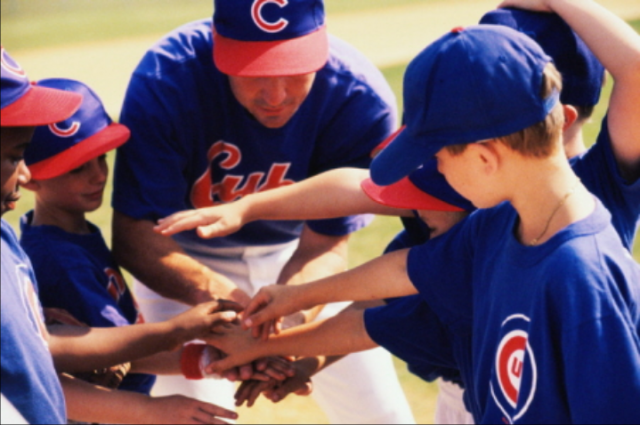 Your positive attitude, fun practices, and motivation made for a great into to baseball. Coach Jeff deserves recognition for being the best coach I have ever seen for minor sport. I also coach Hockey, Baseball last year, Soccer etc. and this guy is the poster child for little league. He is kid first and development. Fabulous coaches!!!! The coaches were very knowledgeable. Coach Brian and coach Chris were awesome!! Cannot say enough positive things about these coaches and their passion for baseball! Amazing coaching team...lucky to have been a part of this team! Jeff and Chris were both excellent coaches!